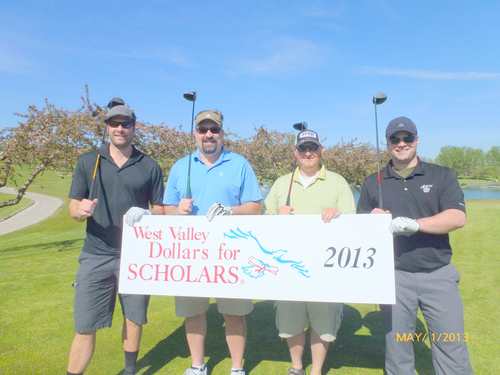 Apple Tree Resort held the annual Dollars for Scholars Golf Tournament recently to raise money for Scholarship America’s Dollars for Scholars program that supports scholarships for local students here in our community. Scholarship America’s mission is to mobilize America, through scholarships and educational support, to make postsecondary success possible for all students. They are viewed to be the nationally recognized leader in providing private scholarships and other financial support, to make the completion of education beyond high school a reality for all. Borton Fruit has participated in this tournament every year since Apple Tree began hosting the yearly event. 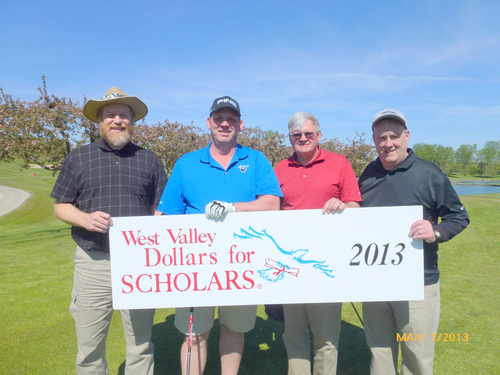 This year, the 19th year for the tournament, Borton Fruit participated with 4 Golf Team Sponsorship’s as well as donated Apples for all tournament participants and supporters to enjoy during the tournament. 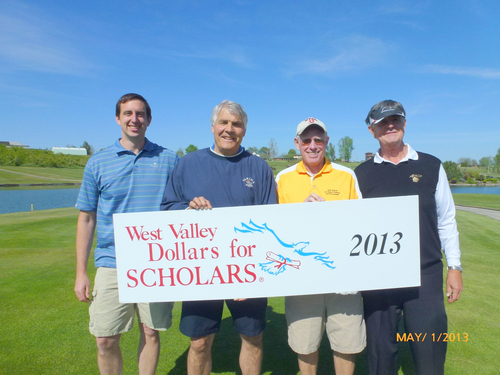 This year was very special for our Company as the Tournament was dedicated by Dollars for Scholars to our own Richard Borton whom we lost this past November. Richard was the 2nd Generation owner of Borton Fruit business as well as an amazing Father and Grandfather to the 3rd and 4th Generation family members involved. Richard had played in this tournament all 18 years it has been held at Apple Tree. Last Year, the 18th year of the tournament, Richard golfed at the age of 99 years, only 28 days away from his 100th Birthday. His giving heart, always friendly manner and youthful exuberance blessed the Yakima community and Borton family for many years. He was a tremendous role model for all those around him. 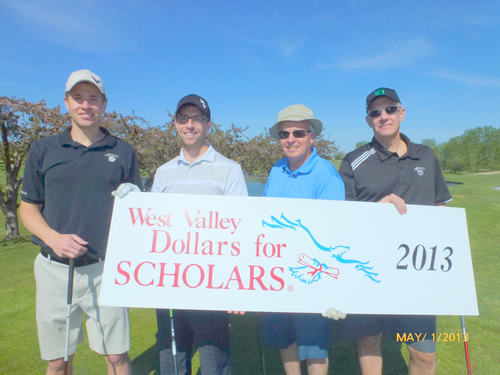 The Borton family and Borton Fruit look forward to continuing to support Dollars for Scholars Program for many years to come. These are the kinds of Programs Borton loves to be involved in. Helping our community’s students further their education is very important in today’s society. We enjoy being a part of this event every year.